According to NVIDIA, the GeForce GTX 480M is the first GPU to allow notebook users to really taste DirectX 11. 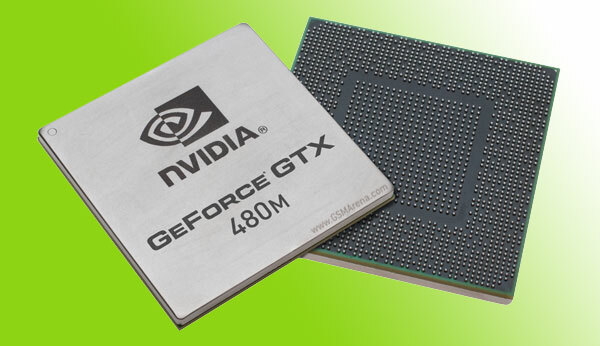 Thanks to the integrated Tessellation engine the GTX 480M offers up to 5 times more performance than the competition. This is the GPU to first bring the next-gen Cuda architecture (a.k.a. Fermi) to notebooks, which should dramatically speed up video transcoding, upscaling from standard to high definition as well as real-time movie clean-up. Thanks to the 3D Vision and PhysX technologies the GeForce GTX 480M should also deliver mouthwatering realistic gaming graphics while the Verde direct notebook drivers will make sure that you get the most from your notebook. The first notebook to feature the new NVIDIA GeForce GTX 480M GPU will be made by Clevo, while more systems are expected to show up soon.